Amanda Kressler is a practicing furniture designer and maker based in Somerville, Massachusetts. She holds a Bachelor of Fine Arts in furniture design from Savannah College of Art and Design. Her body of work ranges from intricate homewares to large-scale sculptures. 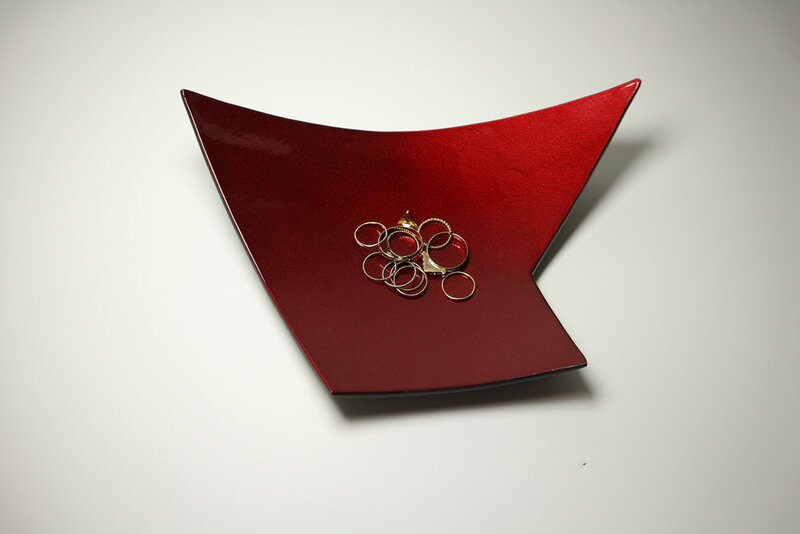 Primarily working with metal, she is fascinated by the ductility and malleability of the material. Influenced by contemporary artwork, modern aesthetics, and surrealism, much of her work includes geometric patterns and faceted forms. Utilizing her studies, combined with fabrication expertise, Kressler creates unique artworks that combine elements of contemporary design, sculpture, and craft. With her work, she challenges furniture’s inherent functional qualities and relationships to its user to create original and extraordinary experiences. Each piece she creates is a physical manifestation of functional surrealism characterized by the juxtaposition of art and everyday objects.